1 Why is it necessary to register? 2 How many does it cost? 4 Why is it necessary to activate the account? 5 How do activate my account? 9 How do I change my username? 10 How do I change my password? 11 How do I change my email address? In all services, ANC can have your nutritional analysis customized for your simulations, followed by lunch in the newspaper, consulting revenue. In the service "manage my meals", these profiles can "filter" recipes to suit your sensitivities and allergies, and sort the result according to your preferences revenue alimenatires. For "analyze my meal", there is no registration fee or subscription to use the service as currently provided. To register, click here. It's free, quick and easy: Simply follow the instructions. Service "manage my subscriptions" is a paid service which you will find the terms and conditions in clicking here. You should have received a confirmation email after your registration with the instructions to complete activation. If you did not receive this email or have lost, write us specifying the email address and the username you chose when registering so that we can help you. You must activate your account before Eat What member to benefit from the service "analyze my meal." 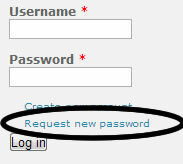 This is a standard procedure required to verify your email address and confirm that it is you who made ​​the entry. To register for the service "manage my meals," if you do not already have a member account Eating What the procedure you will be asked to activate your account before you make the payment online. Once this payment is made, you have immediate access to the service. Within minutes after your registration, we will send a confirmation email (*) at the email address that you specified in the registration form with instructions to activate your membership account as eating. Simply click on the link in the confirmation email to complete the activation. In case the link does not appear highlighted in the email, your email program is perhaps not configured for html. Please copy the link then "full", even if it spans two rows, and paste it into the address window of your browser. Make sure our emails are not blocked by the spam filter of your email service or internet access, or in the junk mail folder of your email program. First make sure to be well connected with your username and password. You will then be appear at the top of the screen, your user name after the salutation Home "hello"
Your username is the only thing that it is not possible to change. First make sure you are well connected with your username and password.